Growing up I lack the self confidence needed to succeed. As a middle child, I was often compared to my siblings in term of academic accomplishment. Unfortunately for me, I did not do well enough to earn any honors like my siblings. I have to say that I was really proud of my siblings’ accomplishments. They deserve every accolade and they certainly did great. As years passed, the frequent comparison and discussions about my inability to perform academically started to affect me. Even my family friends knew about my situation because my parents talked to them about it. It is not like I failed to make the grade. Each year I did well enough to move to the next grade. Truth be told, I did study as hard as I could, but the results did not match the effort. During my junior year in high school, I met a teacher who believed in me. She guided me and gave me the opportunity to explore and excel. Each good test score help me feel good about myself and enabled me to trust that I could do it. But it still took a lot of work and the difference was I believed that I could do it. It was the turning point of my life. She provided me the opportunity and gave me more responsibility to showcase that I could get it done. As @TeresaAmabile (Is that right?) and Steven Kramer’s book titled The Progress Principle: Using Small Wins to Ignite Joy, Engagement, and Creativity at Work states, continuous progress is the key to improving and creating a good inner work life. Each small win helps build confidence that enabled me to tackle the next challenge and build on top of the positive feeling that I had in accomplishing the prior goal. It takes a person to walk into our life and give us that hope to push the envelope and dust off ourselves and get back in the saddle and continue to pursue our dream. It is the very reason I blog, mentor and coach others, because I want to pay it forward. Looking back had I given up, I wouldn’t have been able to achieve anything. Persistence and consistency are the keys to our success. By seeing incremental progress, we can develop confidence that prepares us to take on more challenge; it helps us prepare for the next opportunity. 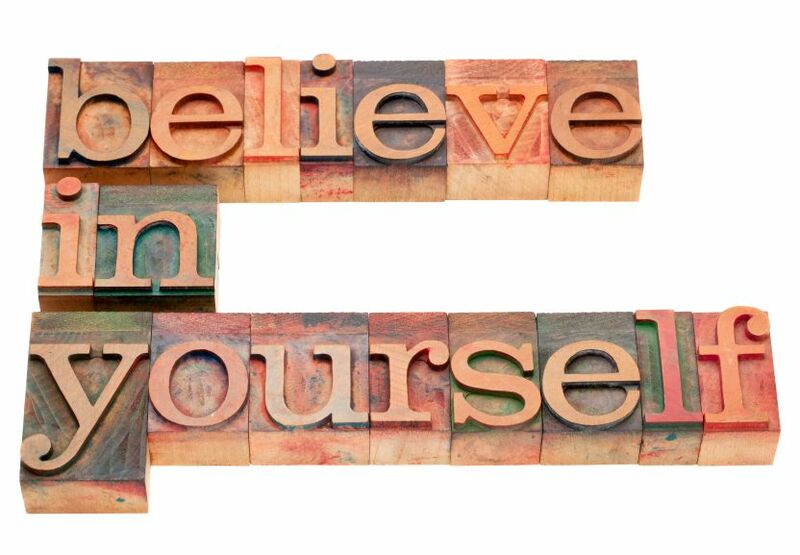 However, someone can walk into our life and trust and provide us with opportunity, but it all starts with believing in yourself and keep on believing that you can get it done. So I suggest that you don’t stop believing and keep on fighting until you achieve your goal. I’ll end my post by leaving you with music: Journey – Don’t Stop Believing. The concept of believing in oneself is foreign to me.. Thanks for sharing your thoughts. I totally agree when you say it takes a person to walk into your life; a light that is constantly and of course consistently folloed by you until all your shadows fall back. Look towards the sun and shadows wwill fall back. That has just started happening to me and I plan to start my own blog writing too. How can I do that can you guide me Will.